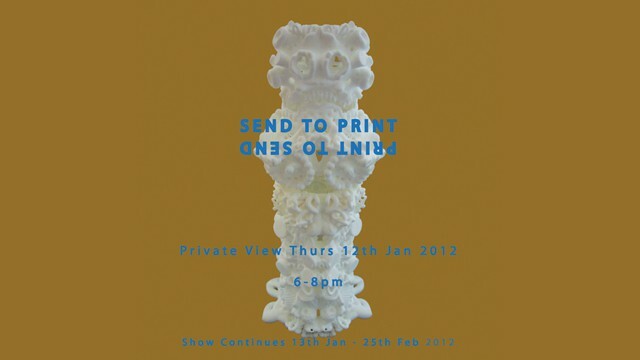 The Aram Gallery have selected three recent projects by NEX for this exciting exhibition to open on 12 January. The show offers an impression of uses of 3D Printing in the design industry today, and includes work by designers and organisations who are developing the capabilities of this technology. In addition it will include examples of the increasingly important role 3D Printing plays in the design process, particularly during the complex prototyping stages. Selected designers include Assa Ashuach, Riccardo Bovo, Michael Eden, FAT, Freedom of Creation, Jump Studios, Markus Kayser, Dirk vander Kooij, Chau Har Lee, PearsonLloyd, Chloe McCormick & Nicholas O’Donnell-Hoare, NEX, Serie, Superfusionlab, Silvia Weidenbach and Unfold.